Plano Therapist: Ruben Gomez - Therapist 75093. Cognitive Behavioral Therapy For Insomnia. This Is A Specific Form Of Treatment For Those Who Suffer From Insomnia Who Are Choosing To Take A Non-Medication Approach To Solving Their Sleep Issue Once And For All. Send A Message To Ruben. Ruben’s counseling belief is that we all have the ability to change or to make change happen. We sometimes go through life believing that we have to live with the hand we are dealt, but this is the furthest thing from the truth. By taking a personal viewpoint that change is possible, you can start on a journey to a stable and balanced life. Sometimes all we need is a helping hand to lead the way, words of encouragement, and an honest outside perspective. 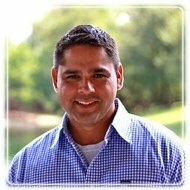 Ruben handles a wide variety of counseling areas, but does specialize in Play Therapy, Anger Management & Marriage/Couples Counseling. He utilizes the Gottman Method and Emotionally Focused Couples Therapy for Marriage/Couples Counseling. Ruben received his Bachelor of Arts Degree from the University of North Texas, and his Masters of Arts Degree in Professional Counseling from Amberton University. Ruben is currently pursuing his Ph.D. at the Texas A&M Commerce. Ruben is a native Texan, raised in the Plano area. He has been married to his wife for over 13 years and has two daughters. He enjoys golf, entertaining, and spending time with family and friends.